The Tropic of Capricorn is a unique address and the Capricorn Region is home to many unique places, experiences and people. There are a multitude of things that you’ll never find anywhere else. The diversity of the region promises a varied and exciting holiday experience. 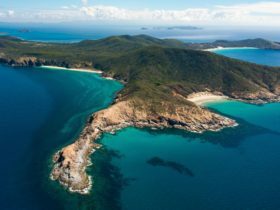 For example, experience a true unspoilt paradise full of relaxation, adventure and discovery at the Capricorn Coast and the Keppel group of Islands on the Southern Great Barrier Reef. 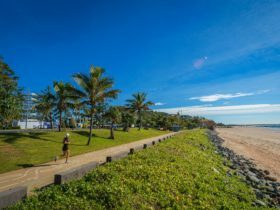 The Capricorn Coast is also home to award winning resorts, a host of visitor attractions and many undiscovered treasures. The Capricorn region then extends westwards, all the way to the Central Highlands where you’ll discover Lake Maraboon, the Southern Hemisphere’s second largest man made dam. 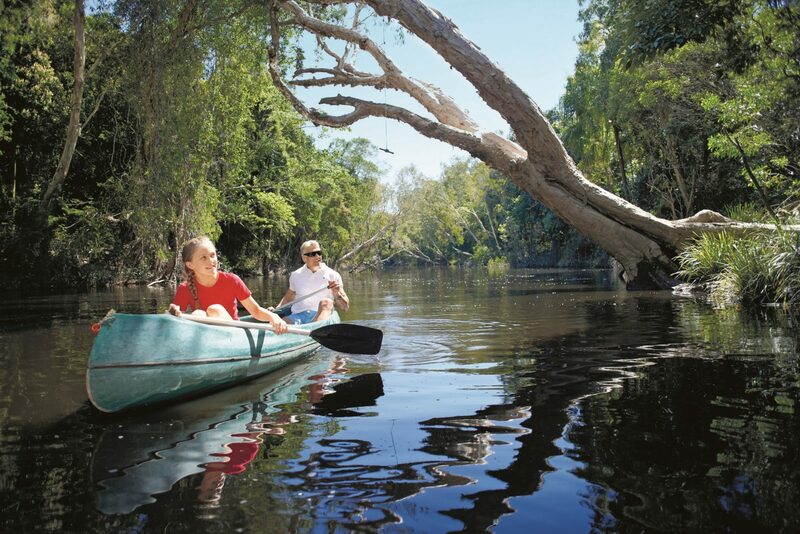 Rivers and streams to fish in, Barramundi to catch in the Fitzroy River, wetlands and lagoons to explore. National Parks ranging from the deep green of the tropical rainforest, hidden fern gullies or the fascination of massive eucalypt forests with grove of ‘bottle’ trees, or better yet, enjoy the rich greens of golf courses in the Capricorn Region. There’s many a ‘treasure’ in the Capricorn Region. 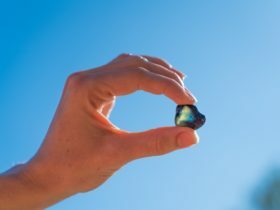 Fossick for sapphires, gold and ‘thunder-eggs’. 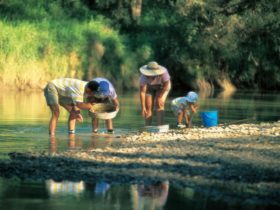 Discover the limestone caves just 20 minutes north of Rockhampton, Aboriginal Rock Art at Carnarvon Gorge and Blackdown Tableland, watch baby crocodiles hatch from their eggs, witness the flight of the small bent wing bats, enjoy camp drafts, picnic races, or a taste of outback life on a farm stay. 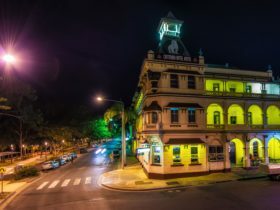 The real treasures of the Capricorn Region – the people, genuine country hospitality, and a friendly laid back lifestyle where there is always time to say ‘G’day’. Plan to spend some time in the region, you’ll find there’s always something new to discover.